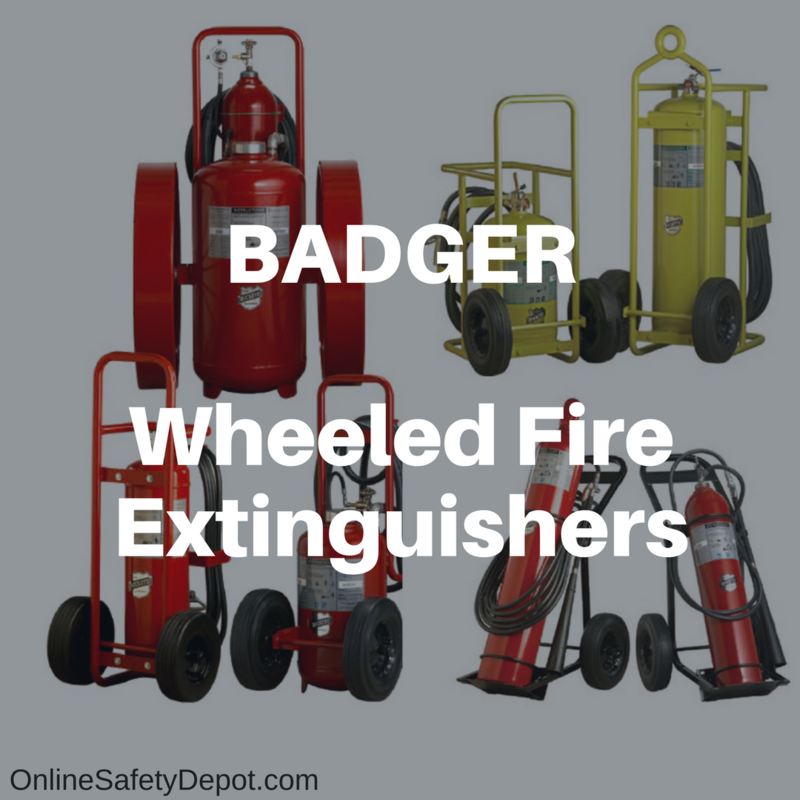 Announcement: OnlinesafetyDepot.com is pleased to announce that we have expanded our line of Badger Wheeled Fire Extinguishers to further meet the demands of our customers. Available immediately are 50 lb and 125 lb fire extinguishing agent models of ABC and Purple K Dry Chemical fire extinguishers. These heavy-duty fire extinguishers are UL and ULC listed, DOT compliant, and USCG approved. All models are rechargeable with the ABC Dry Chemical extinguishers suited for use on Class A, Class B, and Class C fires, and the Purple K Dry Chemical extinguishers suited for Class B and Class C fires.